There is a new risk and safety issue in the world of appendicitis. In this issue of TSG Quarterly, we explore the issue of conservative, antibiotic-first management of acute appendicitis with appendectomy reserved for treatment failures. Is it the new standard? Have you proactively addressed this issue with your emergency medicine and surgical practitioners? It is important to get out in front of this issue to keep our patients safe! Download this case as a PDF here. A 40-year-old woman presents to the emergency department at midnight with an acute onset of right lower quadrant pain for 8 hours associated with vomiting. The emergency physician considers the possibility of acute appendicitis in her differential; she orders the appropriate blood tests and performs a bedside ultrasound. The patient’s white count is 28,000, and the bedside ultrasound clearly demonstrates the presence of acute appendicitis. CT was ordered, and there is no apparent evidence of perforation or other complicating factor. The patient is resting comfortably after 2 mgs of Morphine. Re-examination reveals mild RLQ discomfort, and there has been no further vomiting in the ED. The emergency physician receives a surgical referral from the patient’s primary physician. The emergency physician calls the surgeon, who recommends admission with conservative treatment, including NPO and intravenous antibiotics. It is clear that the surgeon has no intention of seeing the patient until rounds the following day and no plan to take the patient to the OR. The emergency physician believes that this patient should go directly to the OR or that the patient will require surgery within a reasonable time period; she is concerned that this is not the surgeon’s plan. Is this surgeon’s approach consistent with the current state of the literature? Is this management approach a violation of the standard of care? Is there a role for conservative, non-operative management in patients with a diagnosis of acute uncomplicated appendicitis? From a risk, safety and legal perspective, there is a new and critically important consideration in patients presenting with appendicitis. Much of our work related to appendicitis over the years has focused on the failure to diagnose appendicitis. But what happens after the diagnosis of appendicitis has been made? In the recent past, there was only one alternative - surgery. Has the management of appendicitis changed? The relevant literature today reveals a fascinating debate over the appropriate initial management of the patient with a diagnosis of uncomplicated appendicitis. 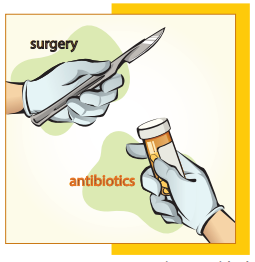 Appendectomy first versus antibiotics first. Researchers have been focused on identifying whether there is a role for a non-operative approach in some patients with appendicitis. What follows is a brief summary of the current state of the art and some risk and safety recommendations for physician practice and your organization’s approach to appendicitis patients. The key risk and patient safety issue is that surgeons may make recommendations on conservative management that may not be consistent with the latest evidence. This may put the patient, emergency physician, surgeon and the organization at risk. 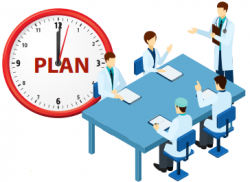 In addition, the failure to take an organizational team approach on this issue may result in controversy and inappropriate delays in management. Review of the current literature and specialty guidelines indicates that a surgical approach remains the treatment recommendation for most patients with uncomplicated acute appendicitis. 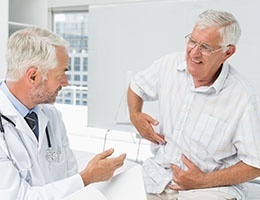 However, research efforts over the past several years attempting to determine whether the use of antibiotics instead of surgery is appropriate for treating patients with uncomplicated acute appendicitis is, to say the least, provocative. Thus, the surgeon suggesting admission for conservative management does so with some basis in the literature, but this management is not in line with the current recommendations of the national and international surgical societies. This is currently a grey area, and more research is needed for surgical specialty societies to consider a change to their current recommendations. Specialty society recommendations do not establish the standard of care, but they certainly carry a great deal of weight in establishing the standard in legal proceedings. These societies continue to evaluate the literature looking for solid research prior to modifying their recommendations regarding non-operative management of appendicitis. A recent publication (JAMA, 2015; 313:2340) presents what is currently the largest multicenter, open-label, non-inferiority randomized controlled trial of antibiotic treatment for appendicitis. That is, the authors attempted to prove that conservative management was NOT inferior to appendectomy. The authors assumed that there would be significant benefits from avoiding surgery and that a 24% failure rate in the antibiotic group would be acceptable. 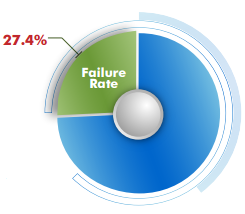 Instead they found a failure rate of 27.4% and were not able to establish the non-inferiority of antibiotic treatment for appendicitis according to their research design. Thus, the study design would speak against conservative management with antibiotics. However, the authors did note that although they did not reach their goal of establishing the non-inferiority of antibiotic treatment relative to appendectomy, they did find that 186 of 256 patients with uncomplicated appendicitis were successfully treated with antibiotic therapy alone. This study certainly leaves the door open to further analysis of this subject area. Additional carefully controlled trials may demonstrate benefits for certain subgroups of patients with uncomplicated appendicitis. The review basically reveals that this is one of those fascinating areas in medicine where new management strategies appear to be effective, but the research protocols have been all over the map in terms of methodology. Although many patients appear to do well with an antibiotics-first approach, the evidence does not provide sufficient clarity to endorse a change in initial management. Together with the continuing appendectomy-first recommendations of the three relevant specialty organizations, the author concludes by recommending an appendectomy-first approach in the U.S. The author encourages patients and practitioners who want to use the antibiotic-first approach to do so within clinical trials, and physicians employing an antibiotic-first approach should include their experiences in a patient registry. 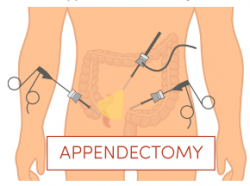 The American College of Surgeons, the Society for Surgery of the Alimentary Tract, and the World Society of Emergency Surgery all describe appendectomy (either laparoscopic or open) as the treatment of choice for appendicitis. be effective, but there is a higher chance of reoccurrence. The Society for Surgery of the Alimentary Tract recommends: “Expeditious surgical removal of the appendix is the preferred treatment.” The Society further states that “Non-operative management of uncomplicated appendicitis has been reported but this is not a widely accepted treatment and in some patients has led to recurrent appendicitis.” http://ssat.com/guidelines/Appendicitis.cgi. The apparent current consensus is that careful analysis of the literature has not yet identified a subset of patients that can be managed with admission and antibiotic therapy. Appendectomy is generally safe with a low morbidity and very low mortality. Pre-op CT may not exclude the possibility of complicated appendicitis. Patients treated non-operatively are at risk for progression of symptoms and developing complicated appendicitis. Those treated non-operatively have an appreciable rate of recurrent appendicitis (15% to 25%). 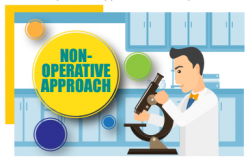 In some circumstances, there may be compelling reasons to offer non-operative management, such as patients with a prior history of surgical complications or patients refusing surgery. A conservative approach may be offered in these cases as an alternative to immediate surgery. How should organizations and emergency, medical and surgical practitioners deal with this issue? Be proactive. This is not a subject that should first arise at midnight when a 40-year-old woman presents with acute appendicitis. The hospital, emergency physicians and surgeons should continue to evaluate the literature and specialty society recommendations and come up with a plan for patients with uncomplicated appendicitis. Based on the current analysis, it appears that the plan should be surgery in some reasonable time frame. But this is not an exact science, and the surgeons may reasonably suggest that certain patient subgroups be managed conservatively, at least initially. Appendectomy (laparoscopic or open) has been the management of choice for acute appendicitis for decades. Recent research, particularly in European countries, has provided a basis for consideration of initial conservative management of uncomplicated acute appendicitis with antibiotics followed by appendectomy for treatment failure. State-of-the-art publications addressing antibiotics-first management indicate that current research does not support a high-level recommendation to alter the current management recommendation of appendectomy-first, at least in the United States. The three relevant surgical specialty societies continue to recommend appendectomy-first management, but recognize that antibiotics-first management may be a consideration in certain patients. Emergency physicians, surgeons and hospital organizations should proactively review the literature and develop an organizational approach to patients presenting with acute appendicitis. American College of Surgeons. Operation brochures: appendectomy, 2014 (https://www.facs .org/education/patient-education/patient-resources/operations). Andersson RE. The role of antibiotic therapy in the management of acute appendicitis. Curr Infect Dis Rep. 2013;15(1):10-13. Flum, DR. Acute Appendicitis – Appendectomy or the “Antibiotics First” Strategy. N Engl J Med. 2015;372:1937-43.
of acute appendicitis in unselected patients. Br J Surg, 2009; 96:473. Salminen P, Paajanen H, Rautio T, et al. Antibiotic Therapy vs Appendectomy for Treatment of Uncomplicated Acute Appendicitis: The APPAC Randomized Clinical Trial. JAMA. 2015; 313:2340. Sartelli M, Viale P, Catena F, et al. 2013 WSES guidelines for management of intra-abdominal infections. World J Emerg Surg. 2013; 8:3. Society for Surgery of the Alimentary Tract. SSAT patient care guidelines: appendicitis (http://ssat.com/ guidelines/Appendicitis.cgi). Varadhan KK, Neal KR, Lobo DN. Safety and efficacy of antibiotics compared with appendicectomy for treatment of uncomplicated acute appendicitis: meta-analysis of randomised controlled trials. BMJ. 2012;344:e2156. Vons C, Barry C, Maitre S, et al. Amoxicillin plus clavulanic acid versus appendicectomy for treatment of acute uncomplicated appendicitis: an open-label, non-inferiority, randomised controlled trial. Lancet. 2011; 377:1573.
versus appendicectomy for treatment of acute uncomplicated appendicitis :an open-label, non-inferiority, randomized controlled trial. Lancet. 2011;377(9777):1573-1579.
and Management. Current Problems in Surgery. 50 (2013) 54 – 86.